The court granted defendant's motion to dismiss plaintiff's induced and contributory infringement claims for failure to state a claim. "[Plaintiff] argues that dismissal is not warranted because its infringement contentions identify the direct infringement and describe the acts of the alleged indirect infringer that contribute to or are inducing that direct infringement. [Plaintiff], however, does not cite any authority supporting the proposition that the Court may consider its infringement contentions, which are not set forth in the FAC, in deciding whether it has pled cognizable claims for relief. . . . [Plaintiff] has failed to allege any facts plausibly showing that [defendant] knowingly induced any third party to engage in direct infringement of the [patent-in-suit] with the specific intent of encouraging the infringement. . . . Nor has [plaintiff] alleged that the component of the accused. . . products that practices the patented method has no substantial non-infringing uses, or that the component constitutes a material part of the invention." Emblaze Ltd. v. Apple Inc., 4-11-cv-01079 (CAND November 27, 2012, Order) (Armstrong, J.). The court granted defendants' motion in limine to preclude plaintiff from presenting testimony regarding the value of one of the defendant's licenses with a third party which contained the patents-in-suit but was directed to different technology. "[A] license is not comparable simply because it contains the patents-in-suit. . . . [T]he fact that the accused products were covered by the license is also insufficient to establish comparability; rather, [plaintiff] must show that the. . . license is technologically comparable to license that would have been reached at the hypothetical negotiation. . . . In addition, the Court concludes that any probative value this license might have would be substantially outweighed by the danger of unfair prejudice to [defendant]." Multimedia Patent Trust v. Apple Inc., et. al., 3-10-cv-02618 (CASD November 20, 2012, Order) (Huff, J.). The court denied defendant's motion to preclude the royalty estimates testimony of plaintiff's damages expert. "[Defendant] alleges that . . . [the expert's] royalty rate analyses are improperly premised on 'arbitrary profit splits,' such as the '25-percent rule' . . . [Plaintiff] counters that his calculations were influenced, appropriately, by the facts of the case, including the competitive environment and [its] policy of exploiting its own patents. . . . [Plaintiff's expert] explained his methodology as based on a combination of real world observation and the Nash bargaining solution. The Nash bargaining solution is a mathematical proof. Although it has been criticized as impenetrable, at least one court has permitted its use 'in addition to, rather than in lieu of' other considerations. . . . The Court agrees with [plaintiff] that [its expert's] analysis is tied to the facts of the case. It will not exclude his testimony on this ground." Gen-Probe Incorporated v. Becton Dickinson and Company, 3-09-cv-02319 (CASD November 26, 2012, Order) (Benitez, J.). The court denied plaintiff's motion to disqualify defense counsel where one of defendant's attorneys was plaintiff's prior patent prosecution attorney. "[The attorney's] work was confined to junior prosecution work on patents unrelated to those in suit, either by specification or by subject matter. There is no evidence that [he] was involved in any discussions of [plaintiff's] strategies for patent prosecution, claim drafting, or licensing/litigation/monetization of their patents. . . . Even assuming that [he] learned of such general confidences indirectly from more senior attorneys . . . it is not apparent at all how confidential knowledge of [plaintiff's] strategies and plans fifteen years ago could be relevant to any issue in this case, or harmful to [plaintiff] in some other way." Walker Digital LLC v. AXIS Communications AB, et. al., 1-11-cv-00558 (DED November 21, 2012, Order) (Andrews, J.). The court denied defendant's motion for attorneys' fees under 35 U.S.C. § 285 following summary judgment of noninfringement. "[Defendant] characterizes [plaintiff] and its counsel as 'one of the nation’s leading "patent trolls"' who filed suit against [defendant] knowing there was no conceivable infringement. . . . [Defendant] also argues that [plaintiff] acted in bad faith because it has filed hundreds of lawsuits, it routinely engages in 'shakedown tactics' to obtain settlements, and none of its other cases have proceeded to claim construction proceedings. . . . Although [defendant] objects to [plaintiff's] evidence of pre-suit claim charts, there is still insufficient evidence in the record to establish an 'exceptional case' warranting attorneys’ fees. . . . 'Even if plaintiff's pre-suit investigation was unreasonable, an unreasonable investigation alone does not demonstrate that the ensuing litigation was vexatious, unjustified, or brought in bad faith.' . . . Furthermore, evidence that [plaintiff] has filed suit against many other parties does not, by itself, prove that litigation is unjustified or baseless." ArrivalStar S.A., et. al. v. Meitek Inc., et. al., 2-12-cv-01225 (CACD November 20, 2012, Order) (Selna, J.). The court granted a declaratory judgment plaintiff's motion for an injunction of defendant's co-pending claims against plaintiff's customers in the Eastern District of Texas because the balance of hardships favored an injunction. "[Defendant] resides and works in this district.' In addition, all of [its] attorneys are located in. . . the Eastern District of Michigan. . . . Further. . ., the Eastern District of Michigan is in reality the venue of first filing since Defendant originally filed two lawsuits [here] against two of the Texas 'customers.' Defendant then abruptly dismissed them, and shuffled down to [Texas] to sue them there. . . . The Court finds it suspicious at best, why [defendant] filed two cases in Detroit separately -- think two different judge draws -- and then apparently not satisfied with the draws, scooted to Texas, where. . . every judge is hospitable to plaintiffs. . . ."
Finisar Corporation v. Cheetah Omni, LLC, 2-11-cv-15625 (MIED November 19, 2012, Order) (Borman, J.). The court granted plaintiff's motion to unseal documents related to a sanctions order that were sealed to avoid tainting the jury. "Although the patent trial has concluded, Defendants assert that the same reasons for denying the prior motion require that the Sanctions Order remain under seal. However, the jury has already returned a verdict in the parties’ patent dispute. Moreover, the antitrust trial, docketed to begin [late next year], is still quite remote, and the opportunity for voir dire examination will serve to eliminate any jurors who may have been prejudiced by the unsealing of the Sanctions Order. The Court concludes that the potential for prejudice in the antitrust matter does not justify maintaining the Sanctions Order under seal." Monsanto Company, et. al. v. E.I. Dupont De Nemours and Company, et. al., 4-09-cv-00686 (MOED November 16, 2012, Order) (Webber, J.). The court denied plaintiff's motions in limine to exclude one of plaintiff's license agreements and an internal forecast estimating the value of a license for defendant's alleged infringement. "[Plaintiff] focuses its arguments on challenging the values set forth in the [license] and the 2006 forecast, as the figures of a lump sum of $200,000 offered to [the licensee] and its 2006 internal discussions concerning the potential of an annual fee of $2,000,000 are drastically less than their expert’s initial billion dollar opinion as to the value of the patents in this case. . . . The Court finds that the [license] and the 2006 forecast are highly probative of the type of license that [plaintiff] may have sought during those negotiations, i.e., a running royalty versus a lump-sum license. . . . [T]he challenged evidence is highly probative of whether [plaintiff] would have accepted a running royalty or opted for a lump sum during the negotiations." Carnegie Mellon University v. Marvell Technology Group, Ltd., et. al., 2-09-cv-00290 (PAWD November 7, 2012, Order) (Fischer, J.). The court granted in part defendants' motion in limine to exclude evidence regarding the parties' pre-suit license and settlement negotiations. "Where, as here, the negotiations occurred between the parties to the litigation, concerned the subject of the litigation, and are being offered for the purpose of establishing a reasonable royalty (i.e., the 'amount of a disputed claim'), Rule 408(a) bars their admission. Nor do I find persuasive [plaintiff's] contention that the pre-suit negotiations must be admitted because [defendants' expert] considered these negotiations as part of his reasonable royalty analysis. . . . To the extent [plaintiff] seeks to introduce evidence of the parties’ negotiations for the limited purpose of defending against willfulness, Rule 408(b) does not preclude it from doing so and neither will I." Carpenter Technology Corporation v. Allegheny Technologies Incorporated, et. al., 5-08-cv-02907 (PAED November 14, 2012, Order) (Stengel, J.). The court granted defendant's motion for terminating sanctions based on plaintiffs' discovery abuses. "This case is nearly three years old. Plaintiffs have delayed production and/or failed to preserve evidence essential for fair adjudication. Although public policy favors disposition of cases on their merits, doing so here would require re-opening discovery. . . . Further, any sanction short of dismissal, such as excluding Plaintiffs’ evidence regarding the date of conception of the [patent-in-suit], would eliminate any possibility of Plaintiffs succeeding at trial. Moreover, Plaintiffs’ pattern of deception and discovery abuse make it impossible to conduct a trial with any reasonable assurance that the truth will be available." Caron, et. al. v. Quickutz Inc., 2-09-cv-02600 (AZD November 13, 2012, Order) (Wake, J.). The court denied plaintiff's motion for summary judgment that its video compression patents were not unenforceable for patent misuse or unclean hands based on alleged RAND violations. 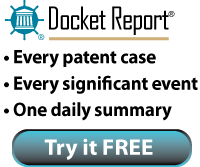 "[S]everal courts have held that a patentee’s violation of its RAND obligations may in certain circumstances constitute patent misuse. . . . [Plaintiff] argues that [defendants] have failed to provide any evidence showing that the patents-in-suit are essential patents to the H.264 standard and, therefore, are subject to any potential RAND obligations related to that standard. However, a reasonable inference could be drawn that the patents-in-suit are essential to the H.264 standard based on [plaintiff's] assertion that the Defendants infringe the patents-in-suit by practicing that standard. In addition, [defendants] have presented the Court with testimony from one of [plaintiff's experts] stating that [two of the patents-in-suit] are by some criteria essential to the H.264 standard. Accordingly, the Court denies [plaintiff's] motion for summary judgment of [defendants'] affirmative defenses of patent misuse and unclean hands." Multimedia Patent Trust v. Apple Inc., et. al., 3-10-cv-02618 (CASD November 9, 2012, Order) (Huff, J.). The court granted with prejudice plaintiff's motions to dismiss defendant's inequitable conduct counterclaim and to strike defendant's inequitable conduct defense because defendant failed to allege a misrepresentation. "[Defendant's] inequitable-conduct contentions appear to be little more than an ineffective attempt to dress up a garden-variety invalidity defense, which [defendant] has already pleaded as its second counterclaim and third affirmative defense." "It is well-settled that an applicant's interpretation of prior art does not amount to misrepresentation unless the misrepresentation constituted genuine misrepresentation of a material fact. . . . [Defendant] concedes that [plaintiff] disclosed the [prior art patent] in its application for the patent-in-suit] to the PTO. Hence, the examiner had the opportunity to review the applicant's interpretation of the [patent-in-suit] before determining whether to accept or deny the [patent-in-suit's] application. . . . [Defendant's] disagreement with the applicant's interpretation of the [prior art] Patent does not convert [plaintiff's] attorney argument into a misrepresentation." Lakim Industries, Inc. v. Linzer Products Corporation, 2-12-cv-04976 (CACD November 7, 2012, Order) (Wright, J.). The court denied in part defendants' motion for discovery sanctions based on defendants' lack of supporting documentation and description of charges. "[B]lock-billing is rampant in [defendants'] motion. Throughout the declaration, [defendants] lump together various tasks by attorneys, separating the hours only by motion. Perhaps all of the hours were well-spent in efficient pursuit of investigating and drafting the motions. Or reveal inefficiencies in the work. Or reflect nothing more than a best guess by [defense] counsel at how many hours they spent compiling three motions amidst the immense size and scope of this case. But the court cannot make that determination from the request as presented because of the inherent ambiguity in block-billing, which is why block-billing is a disfavored format for fee requests. . . . Because it cannot evaluate the reasonableness of the hours, and in light of the evidence that block-billing inflates hours by between 10% and 30%, the court trims 20% from the block-billed hours in [defendants'] request." Apple Inc. v. Samsung Electronics Co. Ltd., et. al., 5-11-cv-01846 (CAND November 7, 2012, Order) (Grewal, M.J.). The court denied defendant's motion to exclude reference to the entire price, profit, or margin of the accused chips. "Here there is purported evidence that the patents-in-suit are considered 'must have' technology. [LaserDynamics, Inc. v Quanta Computer, Inc., 694 F.3d 51, (Fed. Cir. 2012)] therefore supports the Court’s Summary Judgment decision that Uniloc does not 'foreclose[e] the use of these figures, and indeed, a number of them are necessary for [plaintiff's expert] to testify coherently on the issue of damages'. . . . Once [plaintiff] enters into evidence its basis for the argument that the patents-in-suit are 'must have' technology and this Court finds such evidence sufficiently reliable, then [plaintiff's expert] can provide her expert analysis. In doing so, [her] testimony shall only refer to total revenue, total profit, or total margin of the accused chips to start her analysis. Thereafter, she may refer to the total number of sales, total apportioned revenue, average price per chip, operating profit per chip, and apportioned profit per chip in making her calculations." Carnegie Mellon University v. Marvell Technology Group, Ltd., et. al., 2-09-cv-00290 (PAWD November 5, 2012, Order) (Fischer, J.). The court rejected defendant's claim for more than $300,000 in costs for its electronic discovery database. "The court is sympathetic to the practical arguments advanced by [defendant]. In modern complex litigation, particularly patent litigation, the maintenance of an electronic database is a practical necessity. . . . Attorneys can no longer reasonably be expected to maintain thousands upon thousands of documents in paper form, and to manually process those documents during litigation. Any law firm that attempted to do so would soon find itself falling far behind its competition, as clients have come to expect the efficiency that modern technological conveniences provide. Unfortunately, however, the law does not always favor efficiency or practicality. . . . [T]his court is constrained by the provisions of 28 U.S.C. § 1920 when determining the costs that may be awarded to a prevailing party, and the Third Circuit has offered a thorough, reasonable, and persuasive interpretation of that statute." Abbott Point of Care Inc. v. Epocal, Inc., 5-08-cv-00543 (ALND November 5, 2012, Order) (Smith, J.). The court denied defendant's motion for more than $200,000 in attorneys' fees under 35 U.S.C. § 285 where plaintiff dismissed its case after learning that the patent-in-suit it acquired from its parent company was subject to a terminal disclaimer but was not under common ownership. "The [patent-in-suit] could not stand on its own two feet. It was subject to a terminal disclaimer requiring that it have common ownership with [another] patent in order to be enforceable. . . . [A]bout eighteen months before the start of this litigation, [plaintiff's parent] assigned the [patent-in-suit] to [plaintiff], with [the parent] retaining the [other] patent. . . . [M]istakes, even costly mistakes, happen. It is the simplest explanation of what happened here, and therefore the most likely. Second, there was nothing worthwhile to be gained by splitting the ownership of the patents, and a lot to lose by doing so. Third, the reaction to [defendant's] e-mail [notifying plaintiff of the disclaimer issue] was an extremely prompt 'fold.'. . . While there might be circumstances where the prompt 'fold' could be interpreted as recognition that the 'jig was up,' that is not what it looks like to me here." Parallel Iron LLC v. EMC Corporation, 1-11-cv-00799 (DED November 2, 2012, Order) (Andrews, J.). The court denied defendants' motion to exclude references to Hurricane Katrina and its effect on plaintiff's business operations. "Defendants argue that if the Court permits testimony and evidence regarding Hurricane Katrina, it is highly likely that the jury will base its decision on something other than the established propositions in this case – that is, that the jury will be swayed by an alleged kinship with a small, hometown business that suffered as a result of the storm. . . . The Court finds that testimony and evidence regarding Hurricane Katrina is both relevant and not unfairly prejudicial. The storm’s effects are inextricably intertwined with Plaintiff’s history as a company. Furthermore, such testimony and evidence is relevant to Plaintiff’s damages claim and its argument that [its product's] commercial success is an objective indicator of nonobviousness. Finally, more than seven years have passed since Hurricane Katrina made landfall . . . thereby diminishing any risk of prejudice to Defendants from the introduction of such highly relevant and probative testimony and evidence." Innovention Toys, LLC v. MGA Entertainment, Inc., et. al., 2-07-cv-06510 (LAED November 1, 2012, Order) (Morgan, J.). Following an evidentiary hearing, the ALJ found that complainants' mobile communications patents were not unenforceable and rejected respondent's argument that complainants' FRAND obligations to ETSI precluded them from seeking an exclusion order. "[I]f the ITC were precluded from performing its mandate as set forth in the authorizing statute, an infringing party could, by making unrealistic counter-offers to the patent holder, while claiming that such counter-offers more accurately reflect FRAND than the offers proposed by the patent holder, hold up or frustrate Section 337 investigations. . . . [T]he evidence does not support [respondent's] allegation that [complainants] failed to offer [respondent] licenses to [complainants'] declared-essential patents on FRAND terms. . . . Remarkably . . . [respondent] has not shown that, as a member to ETSI, it never availed itself to the [mediation] process and procedures of the ETSI. . . ."
Electronic Devices, Including Wireless Communication Devices, Portable Music and Data Processing Devices, and Tablet Computers, 337-TA-794 (ITC October 3, 2012, Order) (Gildea, ALJ). The court excluded more than $200,000 in defendants' requested costs for in-house and vendor processing of electronic discovery. "The line between utility and the parties’ convenience is not bright, particularly given evolving technology. . . . A third tension about imposing costs under Rule 54(d) is that e-discovery is expensive. It provides an opportunity for lawyers, consultants, and vendors to inflate the need or the cost of e-discovery. . . . The court is sympathetic to [defendants'] argument that the processing was necessary to produce the discovery and that the only way to 'copy' and produce usable electronic data is to hire a vendor, capture users’ emails and files, and process, review, and produce them. But given ESI processing costs that exceed $200,000, the case law, the recent Supreme Court decision [in Taniguchi v. Kan Pacific Saipan, 132 S. Ct. 1997 (2012)], and the lack of a discussion about the costs in the ESI agreement, the court declines to award the processing costs." Plantronics, Inc. v. Aliph, Inc., et. al., 3-09-cv-01714 (CAND October 23, 2012, Order) (Beeler, M.J.).